End-to-end encryption really seems to be the latest trend among tech companies. 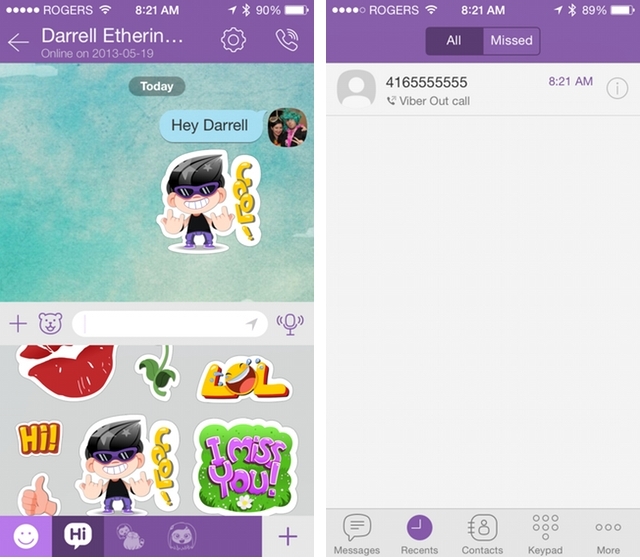 Messaging and chat service Viber just announced in a blog post that it has enabled cross-platform encryption for more than 606-million users. This announcement comes just two weeks after rival WhatsApp enabled end-to-end encryption for its more than 1-billion users. According to a letter written by the company’s COO Michael Shmilov, Viber has been batting around the idea of end-to-end encryption for a while. “We have been working on this for a long time and are proud that our users can confidently use Viber without fear of their messages being intercepted – whether it is in a one-to-one or group message, on a call, on desktop, mobile or tablet,” he said. The letter was posted on Viber’s blog this morning, which also informs users that in order to take advantage of this feature, they need to upgrade to the latest version of the Viber app. Each user will now have an individual cryptography key associated with their device. Viber users can now manually authenticate contacts to display that they’re “trusted.” This will change the colour of the lock to green. The blog post also says that if a lock turns red, it means there’s something wrong with the authentication key. Encryption wasn’t the only message Viber had for its users this morning. In addition to encrypted messages, users will now be able to choose which messages they want to hide from their main screen. Therefore, no one will know about the existence of any conversation that the device’s owner doesn’t explicitly make visible. Over the next two weeks, these features will be rolling out around the world.